A delegation of HungaroControl headed by its Executive Director Kornel Szepessy arrived in Baku for a working visit on October 9, the press service of Azerbaijan Airlines CJSC said in a statement. By observing the active development of air navigation system and introduction of innovative technologies in Azerbaijan, the European structures of air navigation services show interest in cooperation with Azeraeronavigation Air Traffic Control Center (AZANS). The guests visited the new the Airspace Supervision & Efficiency Center (ASEC) and the Azeraeronavigation Air Traffic Control Center (AZANS). - research work in the field of air navigation. 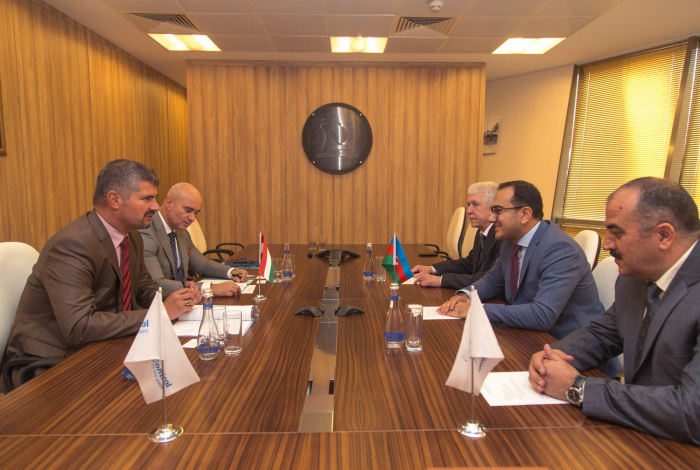 Following the discussions, AZANS Director Farkhan Guliyev and Executive Director of the HungaroControl, Kornél Szepessy signed a Memorandum of Cooperation. HungaroControl is a provider of air navigation services in Hungary. It provides air navigation services in the airspace of Hungary and in Kosovo’s upper airspace under the instruction of NATO. HungaroControl also trains air traffic control personnel and explores developments in the field of air navigation. The structural subdivision of CJSC Azerbaijan Airlines - Azeraeronavigation (AZANS) is one of the key air traffic control departments linking Europe and Asia. Annually over 90,000 transit flights are carried out over the territory of the Republic of Azerbaijan. Favorable geographical location of Azerbaijan also allowed to open the Airspace Supervision & Efficiency Center (ASEC), the only one in the former Soviet Union, in the territory of the country.